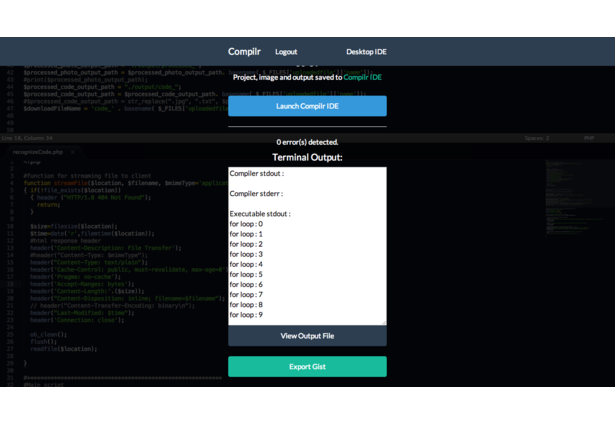 With Compilr, you can easily scan printed and handwritten source code with your phone, compile it, view its' output and edit it on the fly, without ever needing access to a computer or a terminal window. This means better and faster programming and technical interviews, better CS and programming classes, accessible and free programming for students and the ability to compile code directly from textbooks or worksheets. 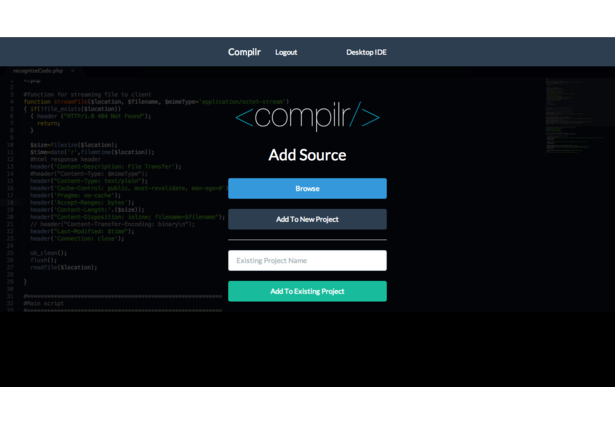 Compilr is currently fully compatible with C++ and can easily scale for other programming languages. 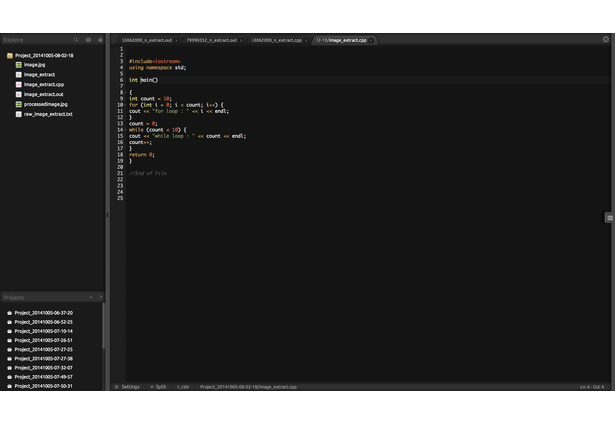 It consists of a web IDE and editor with full-fledged syntax highlighting support for several popular languages. 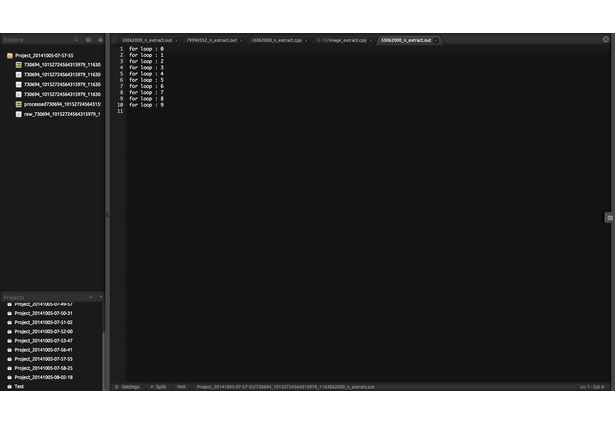 The IDE is currently capable of highlighting source code in PHP, C, C++, HTML and CSS. 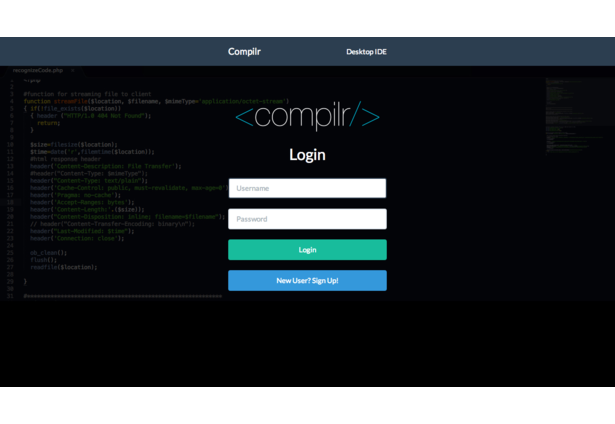 Compilr also consists of a mobile front-end that allows users to take pictures of printed or (neatly) handwritten source code and compile it on the fly. This is made possible using a combination of Optical Character Recognition, image processing, data training sets and virtualization. We are running a Linux cloud instance on DigitalOcean which processes the images uploaded from the mobile front-end. The images are binarized and relative contrast is improved in Java, after which they are processed in tesseract. 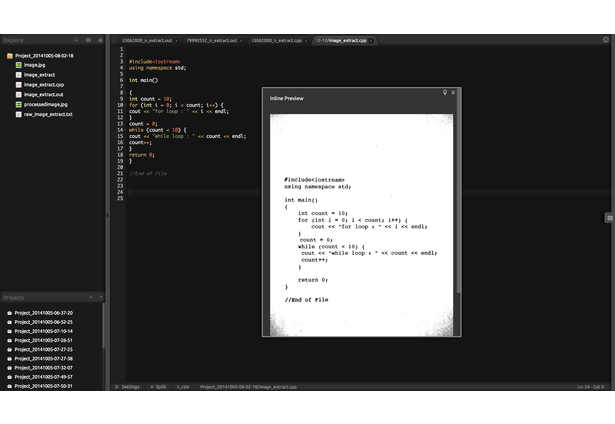 Trained data sets were built to create specialized dictionaries and maps to allow the program to recognize the common syntax and characters used in programming languages. 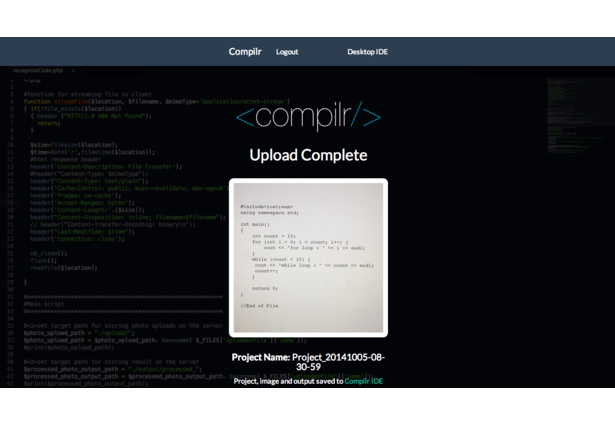 Compilr was coded in less than 20 hours by a team of two undergraduate students from the University of Illinois at Urbana-Champaign. Comments for this submission are closed. View the software in animesht's portfolio to continue the conversation.